Airline and passenger tussles have grown more frequent lately. Or maybe it’s just that people have become more woke, thanks to the power social media affords them. Either way, it’s a dangerous business that leaves no space for a mess up. 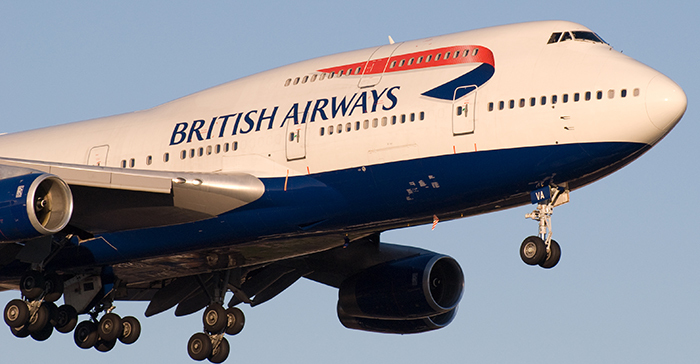 And the latest airline to face the music is European carrier British Airways. An Indian family has alleged that they were offloaded from a British Airways flight because their 3-year-old son was crying. The family has also alleged racial behaviour on the part of the cabin crew. An Indian Engineering Services joint-secretary-level officer and his family were aboard the London-Berlin flight (BA 8495) on July 23. The child was crying when the plane was taxiing for take-off. It is claimed that the mother had managed to pacify the child. However, the cabin crew’s alleged intimidating behaviour when asking the child to take his seat set him off again. The flight returned to the terminal and the family along with several other Indians seated behind them, were made to disembark. The officer has now alleged “humiliation and racial behaviour” by the airline in a letter to Civil Aviation Minister Suresh Prabhu. TOI reports the contents of the letter, which describe the incident in detail. The letter further claims that as the plane began taxiing for take off, the crew member returned..
Once the plane returned to the terminal, the letter claims that the crew member brought in security personnel. They confiscated the boarding cards of all the officer’s family and the Indian family seated behind them. The officer and his family had to make their own arrangements to return to the city. In conclusion to his letter, the officer has requested that action be taken against this alleged racist behaviour by the airline. As for the airline, a British Airways spokesperson has assured a thorough inquiry of the incident. Deplaning passengers because of crying children, as much of a discomfort as that can be, seems a little too harsh. Particularly when there’s an alleged racial undertone to it. What’s more, the forceful offloading of the other Indian family does raise the question of whether the crew’s intentions were racially motivated. We’ll have to wait for the investigation results to know further.